In Clausewitz historiography, June is the month of the Battles of Waterloo and Wavre. Clausewitz, as the chief-of-staff of III Prussian Corps, fought in the latter separate but simultaneous engagement on 18-19 June 1815. Following the defeat at Ligny, the Prussian army had retreated north. Napoleon tasked Marshall Grouchy with its pursuit while he turned his attention to Wellington's Anglo-Allied army at Waterloo. Grouchy was slow and this allowed the Prussian commander General von Blücher to regroup his army and, decisively, to send three corps to unite with Wellington's force. As we know today, the Prussians' arrival at Waterloo was crucial for Napoleon's defeat. But for the III Prussian Corps, holding off Grouchy at Wavre, these were two very long days fighting against an enemy twice its size. While the rest of the allied armies celebrated Napoleon's defeat, III Corps, unable to repulse the French attack, had to withdraw. Marie von Clausewitz later wrote that the night of June 18-19, so glorious for others, was for Clausewitz "among the most terrible" in his life. 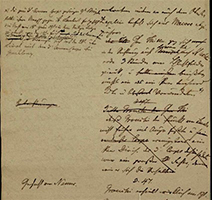 It is therefore only appropriate that Münster University and State Library has now released the original manuscripts of Clausewitz's The Campaign of 1815. For more on that, see below. Christopher Bassford's long-contemplated essay "Clausewitz's Categories of War and the Supersession of 'Absolute War'" is now online at Clausewitz.com (Link). This is a comprehensive study, backed by extensive research and groundbreaking analysis. "At the very core of Clausewitz's work … lies a running and seemingly unresolved struggle to identify the fundamental sources of war's kaleidoscopic diversity," writes Bassford. "Because of its ventures into extremes beyond our experience of war in the real world, many readers find Clausewitz's effort to determine the 'nature of war' to be an abstract philosophical exercise of dubious value; it generates more confusion than light. But Clausewitz was an intensely practical soldier and his work had practical goals. Here we are talking about establishing the bases for high-level strategic analysis that identifies the interrelationships between our political and military objectives and those of our opponents. Without a general understanding of the drivers of war's diversity, it is not possible to understand the unique character and the correspondingly unique requirements of the specific war one faces in the real world, here and now. Thus, in the area of strategic analysis, which has been the focal point of much if not most writing about Clausewitz, the preservation of Clausewitz's evolutionary trail in On War has proven to be extremely problematic. If "the first of all strategic questions and the most comprehensive is to establish ... the kind of war on which [we] are embarking; neither mistaking it for, nor trying to turn it into, something that is alien to its nature," we need to understand what 'kinds of war' Clausewitz expected us to choose among. Unfortunately, he left us with several different ways of categorizing or classifying war, to which confused or creative readers, writers, and translators have added more." N.B. "Clausewitz's Categories of War" is the most current version of a "working paper." It is published online with the intent to be debated, expanded, edited, and eventually to serve as a base for other articles or presentation in scholarly outlets. In the new edition of Infinity Journal, Donald Stoker provides an in-depth analysis of Carl von Clausewitz's understanding of strategy (Link, Registration required). Analyzing less well-known texts and campaign studies, personal letters, and of course On War, Stoker reveals how throughout the years Clausewitz's understanding of strategy, its relation to tactics and to the operational level of war, and what constitutes the strategist's task evolved. This essay, entitled "What's in a Name? Clausewitz's Search to Define 'Strategy,'" is a much needed reminder of how important context is when trying to understand the military theorist's ideas. Donald Stoker is the author of Clausewitz: His Life and Work. You can also watch his video lecture from 2014 discussing the great Prussian's life and legacy (Link). The manuscripts of Clausewitz's The Campaign of 1815 (published in volume 8 of Posthumous Works from 1835 as Der Feldzug von 1815 in Frankreich) have now been digitalized and publicly released on Münster University and State Library's page (Link). The Campaign of 1815 is one of the last texts the military theorist worked on, probably throughout 1827. You can read it in English, together with Wellington's answer from 1842 and supplementary materials and essays, in On Waterloo: Clausewitz, Wellington, and the Campaign of 1815, ed. and trans. by Christopher Bassford, Daniel Moran and Gregory W. Pedlow. The published manuscripts of the 1815 campaign study help us to understand the intensive process of writing and rewriting that all of Clausewitz's texts underwent. Initially the military theorist wrote only on the right half of the page. When it came to editing, he crossed out paragraphs with broad strokes, later adding on the left side additional remarks and occasional notes to himself about intended changes, but seldom leaving behind clear copies. Keep this in mind as you read Marie von Clausewitz's explanation in her "Preface" to On War that the "publication called for a good deal of work, arranging of material, and consultation." When her brother Fritz von Brühl discovered the intended changes for Book I, Chapter 1, they were inserted into "those places … for which they were intended." Side note: The last few weeks have been a very busy time in Clausewitz scholarship. We had a hard time choosing among so many articles and items discussing the great Prussian's ideas and legacy—so much so that at one point The Clausewitz Studies Newsletter threatened to resemble War and Peace in size. The following links, therefore, do not represent everything recently written and published on the subject, only some of the most interesting and intellectually stimulating texts. Ahead of NATO's 2016 Warsaw Summit, July 8-9, when the member states' heads of governments will discuss the alliance's future and priorities, Christopher Coker offers for consideration his list of seven strategic tenets. The article "Rethinking Strategy: NATO and the Warsaw Summit" is published in Norwegian Institute of International Affairs' Policy Brief (Link). Professor Coker teaches International Relations at the London School of Economics and also at the Norwegian Staff College. Two of the seven tenets are Clausewitz-inspired: "In crafting any strategy, we must understand the other side's strategy" and "Strategy is simple." At first sight, the latter sounds glib and baffling, but read Coker's explanation: "'Everything in war is simple, but the simple is increasingly difficult.' Those familiar with Clausewitz' writings will recognize that I have slipped the word 'increasingly' into the quote. Complexity has become the prism through which we interrogate ourselves and the complexity of the world creates one outstanding problem: we may be the greatest risk to ourselves." John Binkley, a history professor at University of Maryland University College, examines Clausewitz's ideas regarding civil–military relations and, in particular, how those ideas relate to Samuel Huntington's models of objective and subjective civilian control (Link, Subscription). The article, "Clausewitz and Subjective Civilian Control: An Analysis of Clausewitz's Views on the Role of the Military Advisor in the Development of National Policy," was first published online in 2015 but now appears in the current (July 2016) edition of Armed Forces & Society. Binkley analyzes Clausewitz's own experiences and his theoretical writings. He argues that the great Prussian rejected the basic tenets of objective control: a politically neutral military, the separation of political from military considerations in the professional officer's analytical processes, and reliance on the professional military as opposed to the citizen soldier. Instead, according to Binkley, Clausewitz embraced something similar to Huntington's concept of subjective control, and with it a fusionist model of civil–military relations. This is a thought-provoking text with ramifications for our current debate about the civil–military gap. Furthermore, the authors argue that we have to open the context in which the debate is currently conducted. "In constructing his theory of war, Clausewitz recognized that the military was only a part of the equation…. Likewise, in attempting to construct a theory of agility, this article looks beyond just DOD, our equipment, and our processes to examine the moral dimensions of agility that arise from our dynamic relationship with our government and our people, which lives in tension 'like an object suspended between three magnets,'" Jacoby and Shaw write. Military genius is one of the most popular and most-quoted Clausewitzian concepts. 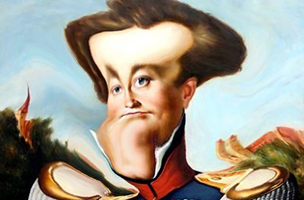 "Stressing that genius 'is above all rules,' Clausewitz appeals to every reader's vanity," writes Willis G. Regier (Link). But did the great Prussian really think that rules do not apply to genius? A few years ago, Jon Sumida and Cliff Rogers extensively debated exactly this point. It started with Jon Sumida's groundbreaking article "The Relationship of History and Theory in On War: The Clausewitzian Ideal and Its Implications" for The Journal of Military History (Link). "Clausewitz's special synthesis of history and theory constituted a system, but of learning not of war," writes Sumida in his extensive study of Book II of On War. "As an alternative to 'positive doctrine,' Clausewitz maintained that the function of proper war theory at the strategic level was to examine what others called 'genius,' that is, whatever it was that constituted effective supreme command capability under the most difficult circumstances. The phenomenon of genius, he was convinced, by its very nature 'rises above all rules.'" In a nutshell, Rogers argues that the phrase "genius, which rises above all rules" is simply taken out of context. Rather than being an important tenet of Clausewitz's theory, it was, on the contrary, a mockery of contemporary military theories. Right before uttering this famous sentence Clausewitz, in fact, disallowed earlier writers' attempts to create systems of rules that a commander should follow in war (Book II, Chapter 2). "They recognized, as Clausewitz did, that the moral forces … were quite important in war, and yet were essentially impossible to measure…. The response of many pre-Clausewitzian writers (and many post-Clausewitzian analysts as well) was simply to ignore what could not be measured…," argues Rogers. "A satisfactory theory of the conduct of war, on the other hand, must be useful, and never in conflict with reality. Logically then, Clausewitz concludes, one never rises above the rules, if the rules are correct. He who possesses genius should make use of it, but the decisions to which genius leads him will be those entirely consistent with the rules. "Thus, to say that genius ... is above all rules ... amounts to admitting that rules are not only made for idiots, but are idiotic in themselves…. "What makes the great commander great, thus, is not an ability to rise above the rules, for genius, dear sirs, never acts contrary to the rules…. Geniuses are, rather, distinguished by exceptional ability to grasp and to apply the rules, intuitively, in the trying circumstances of military command, and then, overcoming friction, to execute the course of action that, as the rules of cause and effect take their course, will lead to the outcome desired." In his followup, Jon Sumida writes: "Clausewitz recognized the utility of rules with respect to planning, the analysis of operations, and discussion amongst the leaders of an army. The fact that this was so, however, did not mean that these instruments of theory could serve as the basis for understanding the character of decision-making with respect to the execution of the plans of a campaign by the commander-in-chief, which was the domain of genius. Recently Olivia Garard also discussed the matter in The Strategy Bridge. Although she did not examine the context of the phrase "genius, which rises above all rules" in particular, her stance is somewhere in the middle (Link). "War is boundless; it "has no definite limits in any direction." ... Thus any attempt to circumscribe the choices, to delineate the how of fighting, are bound to miss…," writes Garard. Employing Lewis Carroll's Alice's Adventures in Wonderland to make her argument more accessible, she argues further that "Chief actors, like Alice, must be able to at once acknowledge the limits of their knowledge and then produce the key from within by blending that knowledge and self-reflection in new and interesting ways. "Clausewitz notes, and Carroll would almost certainly agree, that 'What genius does must be the best of all rules, and theory cannot do better than to show how and why it is so.' … But Clausewitz preserves some preeminence for theory by noting that we ought not to contradict the larger principles established by theory unless there is good reason. Otherwise potential geniuses devolve into hermits spouting riddles like the Mad Hatter. And the only good reason can come from genius. Therefore, let us strive to be a bit more like Alice. Let us balance theory and reality like she balances fantasy and reality. Let us grow and shrink with the required finesse, a true sense of self, and the ability to reconcile what currently is with what ought to be." So … what is your interpretation concerning genius and of Clausewitz's line about it being "above all rules"? Send us your posts! Contrary to Christopher Coker's article quoted above, which boldly states among other things that "when it comes to strategic thinking … Russia and China, do it better than the West," the newest monograph coming from Moscow and evoking Clausewitz's name made us scratch our heads. The State-run Russian International Affairs Council published Dr. Alexei Fenenko's analysis "War of the Future—How Do We See It?" (Link to English translation; Link to Russian original). "Back in the 1820s, the German military thinker Carl von Clausewitz distinguished two types of war—total war and limited war," writes Fenenko, "They differ, according to Clausewitz, not in the number of dead and the scale of military actions, but in the model of victory. The aim of total war is to destroy the adversary as a political subject. The aim of limited war is to coerce the adversary into a desired compromise." It's true that Western strategists frequently misinterpret Clausewitz's two types of war (see Christopher Bassford's essay quoted above). But how war with unlimited military objectives turned into 'total war' in Fenenko's interpretation remains a mystery. Yet, we will not discourage you from reading the text. Quite the opposite—it is a rare glimpse into Kremlin's universe and its strategic thought, especially for those not fluent in Russian. Just don't forget to apply your critical thinking skills! The Spanish online magazine Kosmos Polis published an extensive review of Vanya E. Bellinger's book Marie von Clausewitz: The Woman Behind the Making of On War (Link, Spanish). "The question of why in the early nineteenth a woman's opinion would determine her husband's decisions, a staff officer in the Prussian army, is inevitable," writes Joaquín Pellicer Balsalobre, "The answer we find is that the Clausewitz couple's marriage was no ordinary one, [they] often argued about literature, politics and philosophy. From the correspondence it is clear that [Carl and Marie] considered and treated [each other as] equals, which was unusual in the society of the time, and even more unthinkable in the strict Prussian Junker aristocracy." Bonus: Bellinger was surprised to learn that the prominent Spanish military historian Miguel Alonso Baquer has also written a chapter on Marie, "Marie von Brühl. Clausewitz's Wife," in M. Baquer Alonso, A. De Querol Lombardero, M. Kutz, Clausewitz y su entorno intelectual: Kant, Guibert, Fichte, Moltke, Schlieffen, Lenin (CESEDEN, Ministry of Defence Madrid, 1990). The Italian online magazine warfare.it published Nicola Zotti's essay "Lenin, Clausewitz and the creation of Soviet military culture" (Link, Italian; Link Google English translation). The text is written for a general audience, omits footnotes or cited sources, but still offers interesting points. "The ideological baggage shaping Lenin's understanding—and that of the European Left—of the Great War conveyed a deep and widespread anti-militarist sentiment. [According to Lenin] soldiers constituted a servile armed faction bound to fulfill the ruling class's and capitalism's interests, and military elites, even intellectual ones, could only express [capitalism's] ideology. However, when Lenin wanted to explore strategic thinking, it was as inevitable as enlightening for him to turn to Clausewitz and On War.... Lenin was the first to grasp an essential aspect of Clausewitz's thought…: the relationship between war and politics… The February Revolution, with its spontaneity, surprised Lenin… However, ready to put into practice his Clausewitz and militarized version of Marxism, faster and better than most, Lenin came to the conclusion that the revolution could not be understood outside the context of war, and he was convinced that the Bolsheviks and the working class could and they had to bring it to an end, transforming it into the lever for the conquest of power." We are still looking for volunteers! 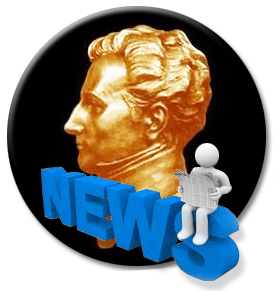 We would like to gather a team of scholars well versed in both English and German who would like to collaborate on new translations of Clausewitz's works. Please let us know if you are interested and can volunteer your time and skills. Contact Vanya Eftimova or Clausewitz.com. Come join our merry team!